Get a full view of your team capabilities and work efficiently. 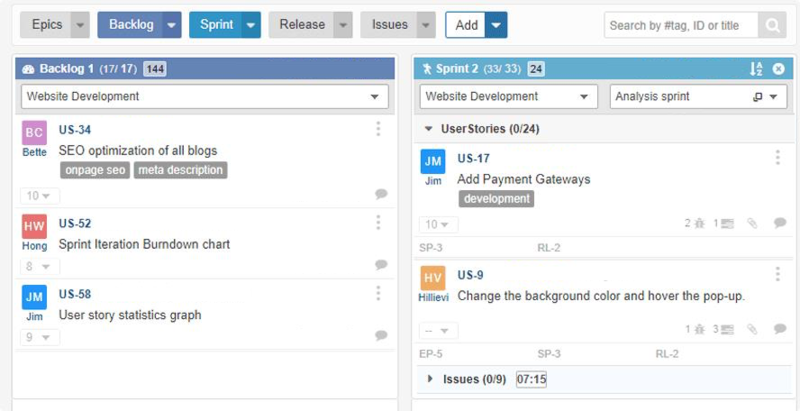 Plan customer projects, teams, resources and individual workload. 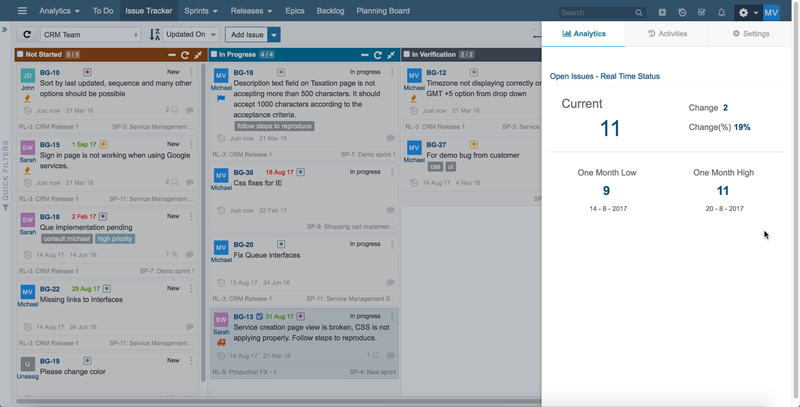 Realtime engagement capabilities with notifications, comments and tagging to enable better collaboration. Prioritise and organise customer requirements easily into epics, stories and tasks. Forget about manual tracking. Set the goals and track them easily with powerful dashboards, in depth analytics and real time notifications. Easy integration with help desk software, email and other channels to bring development team closer to the customer. Actionable smart analytics that provides in depth understanding and forecasting. Easily customize to better suite your needs. From developer to executive, your organization will have game-changing visibility. Empowering the agile journey of the world's best! 1,000+ customers trust us everyday. We would recommend Yodiz to any other company starting a Scrum/Agile Journey because it offered all the functionalities needed to support the Scrum artifacts. We would rate our Yodiz experience as Very Happy. Yodiz has helped us streamline our workflow and has increased our overall efficiency. It provides a much greater degree of visibility into our team’s progress. The tool compliments our daily calls and project meetings in an efficient manner. For sure I would recommend Yodiz to others. it is very easy to work with, very easy to learn how to use it and it provides you with a great overview of all the work to be performed for a very reasonable price. Yodiz allows me to keep track of the work the team is performing, but even more, it gives my stakeholders an insight in the status of project. Integrate with your existing workflow to maximize efficiency, increase visibility and ultimately deliver faster. 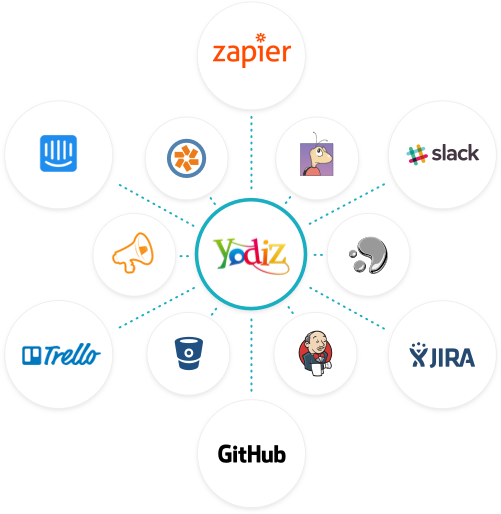 Increase your efficiency by integrating Yodiz with all of your other favorite applications. From customer support systems to time tracking all is covered. Still not sure how Yodiz can help your team?